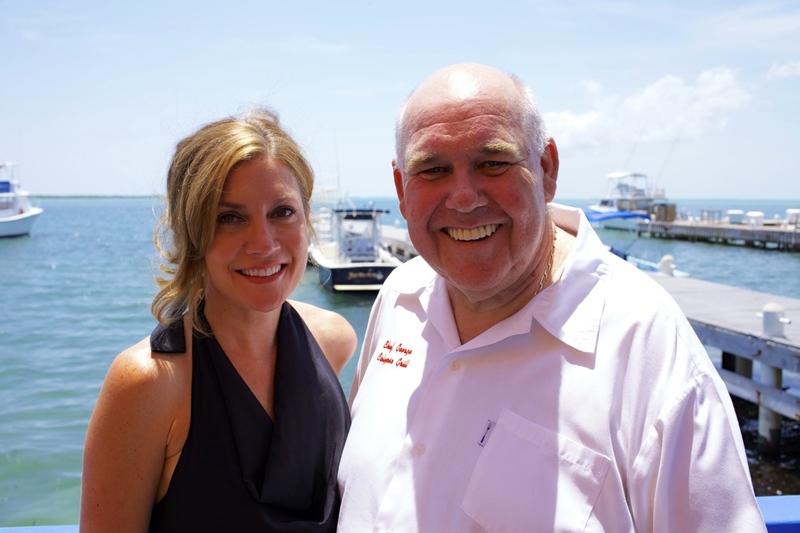 When I first visited Grand Cayman many years ago on a Thanksgiving break with Exclusive Resorts, I was looking forward to some downtime, warm weather, island cocktails and fresh fish. When my friend Sara recommended Calypso Grill out in West Bay, I knew I would have to secure a reservation and try it out. Sara told me the fish sourced from the dock next door was fresh, delicious and well prepared. But the highlight of the night out for dinner would be the sticky toffee pudding. I LOVE dessert and often times feel like it should be served first and not last. However, sticky toffee pudding didn’t strike me as an island inspired dessert that I must consume in order to make my Grand Cayman trip complete. Boy, was I wrong. Chef George Fowler has made this delectable concoction a mainstay on the island. The dining experience in his French inspired restaurant is relaxed, yet has a proper feeling to it at the same time. The open air restaurant spills out onto the deck which offers an amazing starlit setting at night. My family has spent at least one night during all of our trips to Cayman dining on that deck, gazing at the stars and enjoying the breeze off of the bay. When the waiter arrived with my Sticky Toffee Pudding, I was surprised at what was placed in front of me. This delicious smelling dish did not look anything like toffee or pudding. It did, however, look sticky! Sticky…but not looking like pudding. Regardless of my biased pre-dessert arrival ideas of this calorie heavy dessert, I dove in for my first taste. That was the point when I started making a lot of guttural sounds that you make when you are really digging the taste of something for the very first time! This Sticky Toffee Pudding was incredible! Sticky Toffee Pudding is basically a light piece of cake, with a rich sauce drizzled over it and served with a scoop of ice cream. Chef has fans far and wide and was even summoned to personally deliver some to Steven Colbert, comedian and soon-to-be replacement for David Letterman on the Late Show, for his birthday! Talk about top shelf service! I’ve never been to Calypso Grill and not enjoyed the Sticky Toffee Pudding. It’s just part of the experience. While I really love trying out new dishes and different foods, sometimes sticking with what I know I love is the best option – especially when serious calories are involved! When dessert is in question, I know exactly how long I’m going to have to work out in order to keep my backside from spilling out of my bikini! I’d hate to waste all of those calories and gym minutes on a lack luster dessert. 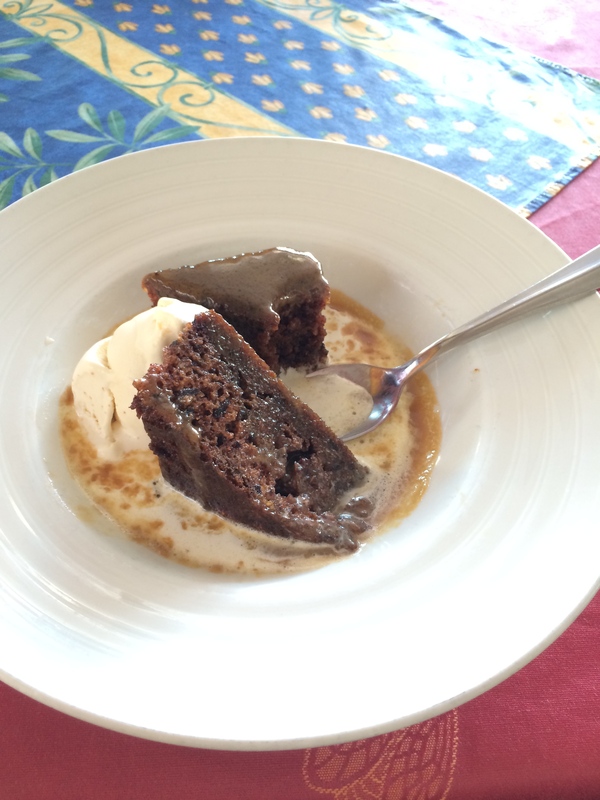 Sticky Toffee Pudding is well worth the work out! You can see more about Calypso Grill and watch me and Corbin swim with the stingrays in this episode of Meet Me There! If you are so inspired, here is a recipe for Sticky Toffee Pudding if you want try it out at home.